Family favorite, Tex Mex cheese enchiladas recipe. Corn tortillas, lightly fried, rolled up with Jack or cheddar cheese, arranged in a casserole dish, covered with tomato and green chile sauce, and baked. When I’m asked, “what’s your favorite recipe on the site?,” my reply without hesitation is this one, my mother’s cheese enchiladas! We had enchiladas at least once a month my entire childhood; it’s still the most requested recipe from any of my siblings when they come home to visit. We’ll often make extra just so my father can have leftover enchiladas for breakfast the next day (it’s his version of chilaquiles). My mother, a fifth generation hispanic Arizonian, was taught this recipe by my grandmother. Here’s her step-by-step guide to how to make enchiladas, using yellow corn tortillas, a cheesy filling, and a tomato and green chile sauce. Note that there are many kinds of enchiladas—green chile, shrimp, chicken, red chili—to name a few. This recipe is much more “Tex Mex” than Mexican, and is easy to make. A note about the tortillas. Sturdy yellow corn tortillas hold up better in these enchiladas than more delicate white corn tortillas. The corn tortillas must be softened before they are rolled and baked in the casserole. Frying them gently in a little oil greatly enhances the flavor of the tortillas. Do not use flour tortillas for this recipe. 2 Lightly fry the tortillas to soften: In a large frying pan at medium-high heat add a tablespoon of oil. When the oil is shimmering and hot (not yet smoking), add a corn tortilla to the pan. Cook it for several seconds, use a metal spatula to turn it over, and cook it for few seconds more. You can soften all of the tortillas this way, one at a time, or you can use my mom's trick of doubling and tripling up the tortillas to absorb excess fat. My mother places another tortilla either on top of the tortilla in the pan (and then flips both tortillas), or beneath it. In either case the tortillas is picking up some of the excess fat from the first tortilla. You can continue "stacking" tortillas, removing the ones that have bubbled, softened and lightly browned, while adding more oil as needed to the pan. This way you can brown and soften the tortillas without using a lot of fat. It's important to pre-cook the tortillas because not only does cooking them help soften them for rolling, cooking them in a little fat helps develop the flavor of the tortillas. As the tortillas brown a little, remove them to a plate. 3 Make the enchilada sauce: Heat 2 teaspoons of olive oil in a large sauté pan on medium heat. Add the chopped onion and cook for 5-6 minutes, until translucent. Add the garlic and cook for a minute more. Add the crushed tomatoes. Add the green chiles. Add 1/2 cup of water. Add the oregano. Bring to a simmer and taste. If the sauce tastes too vinegary, add half a teaspoon of sugar to the sauce. Remove from heat. 4 Roll up the tortillas with cheese: Put a little olive oil on the bottom of a 3-quart (9x13) casserole pan. Take a tortilla, cover 2/3 of it lightly with the shredded cheese, then roll up the tortilla and place it in the casserole pan. Continue until all tortillas are filled and rolled. 5 Add sauce and cheese: Add sauce to the top of the tortillas in the casserole pan. Make sure the rolled up tortillas are covered with the sauce. If not, add a little water to thin the sauce to spread it more evenly over the tortillas. Cover the whole thing with the rest of the grated cheese. 6 Bake: Put the casserole in the 350°F oven for 10-15 minutes or until the cheese melts. Serve with sliced iceberg lettuce that has been dressed only with vinegar and salt. Garnish enchiladas with cilantro and sour cream. See Perfect Guacamole for a great guacamole avocado side dish. Hello! All photos and content are copyright protected. Please do not use our photos without prior written permission. If you wish to republish this recipe, please rewrite the recipe in your own unique words and link back to Enchiladas on Simply Recipes. Thank you! I wonder if shredded chicken and/or beans could be added to this for more protein and iron? Need that for my granddaughter. Hi Marilyn, you could easily add shredded chicken and/or beans to the enchiladas. We often add shredded chicken if we have leftover chicken to use. What kind of vinegar do you use on the lettuce? Would be helpful if you added this is the ingredients list. Hi Megan, you can use white vinegar, apple cider vinegar, or red wine vinegar. Awesome recipe… saved and posted to my social media accounts..
Ii wouldn’t worry about stacking the tortillas when frying them, just remove them to a plate after you have gently fried both sides. And trust me, it is worth it to do this; don’t get lazy and try the damp paper towel technique. No ma’am. I have the same question as Mary – after frying the first tortilla on both sides, are the remaining tortillas underneath it just fried on one side? The recipe does not mention flipping them. Hi Gina, the first tortilla is fried on both sides so that both sides get fat on them. As you add tortillas underneath, they’ll absorb fat from the tortilla above them and from the pan below. You can of course turn over tortillas if you want. The goal is to make sure that they are getting some fat, which will give them more flavor. The tortillas are already cooked. We are just trying to heat them so they soften, and get a little flavor from the oil. When they have bubbly pockets of air, that’s when you know they’ve been heated enough. It doesn’t take much. Thanks Elise for the clarification-it makes perfect sense & is such a time saver from frying each tortilla alone & on each side. Love the lettuce salad to go along with it! I’m confused about the frying of the tortillas. So, is the first one the only one that’s fried on both sides, and the subsequent ones on only one, as the previous are stacked? Hi Mary, the first tortilla is fried on both sides so that both sides get fat on them. As you add tortillas underneath, they’ll absorb fat from the tortilla above them and from the pan below. You can of course turn over tortillas if you want. The goal is to make sure that they are getting some fat, which will give them more flavor. The tortillas are already cooked. We are just trying to heat them so they soften, and get a little flavor from the oil. When they have bubbly pockets of air, that’s when you know they’ve been heated enough. It doesn’t take much. So simple and so delicious, I love this recipe because it doesn’t used canned enchiladas sauce. Thank you Elise…this is definitely a new family favorite! Years ago my Mexican aunt-by-marriage taught me to make enchiladas. She had to pans going – one with a bit of oil and one with slightly diluted canned red enchilada sauce. The little fry softened the corn tortilla and also sealed it. Then it was dipped into the red sauce and placed in the baking dish to be filled and rolled. One by one. Sauce poured over the lot and cheese on top. When I tried it and thought I could skip that little fry in oil, I found that the corn tortillas soaked up the red sauce and became very soggy. Recommend that little extra step. Thanks; that’s exactly what I came here to find out :). And was reminded that I love some lettuce and tomato with my enchiladas, so that’s on my shopping list. Hi Elise…love this site and it is a “go-to” for me anytime I need help or inspiration! Just curious…I printed this recipe back in 2009 and noticed today the recipe is slightly different. I dissolved 3T tomato paste in 1cup water, used 1C salsa and 1C fire roasted tomatoes….did not call for oregano. I am quite sure either recipe is fine but just wondering if there is another recipe or if this just got altered over the years? And! the lettuce salad was the perfect side dish. I used rice vinegar & added some sliced avocado. I love that this is a family recipe. I followed the recipe & techniques carefully except for some tweaks to make it suit my own family (extra oregano, triple garlic, some cumin, and some spicy cooked ground lamb, onion, and herbs mixed in with the filling). Oh, and since we prefer cheese that is not too much cooked, I put the topping cheese on in the last few minutes of baking. My only mistake was not making a double batch! I won’t make that mistake again. Everyone was hoping for leftovers, but there are none! I did use white corn tortillas since that’s all I had access to today, but they were good quality I think and worked okay. Maybe a little falling apart-ness, but not bad. Thank you for this well-written and well-photographed recipe. Hi Sarah, I’m so glad you liked the enchiladas (and the salad)! 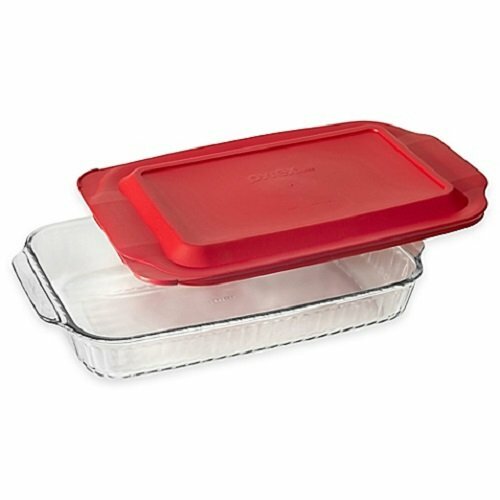 do you cover with foil before putting in the oven? Thanks. Hi Gigi, no, you do not need to cover with foil. The first time I made these they were excellent! I’ve tried to make them 3 more times since and I always end up with a mushy mess. Any tips on how to keep the corn tortillas from turning to mush? I don’t know what I’m doing different! Hi Jessica, the best way to keep the tortillas from turning to mush is to use sturdier tortillas. A lot of the white corn tortillas I see sold at the market these days completely fall apart with the barest of handling. I always look for yellow corn tortillas. They have more flavor and are sturdier. My family loved it! Thank you. I never comment on web sites BUT you truly deserve one. I make my own red sauce from scratch which I enjoy, but your way of cooking the corn tortilla is GREAT. What a good idea. I use to fry them one at a time and it was so messy. Your way is so much better THANKS!! The reason I give this recipe such a high rating is because of the cooking technique for the corn tortillas. One tablespoon of oil can go a VERY long way. The flash fry method brings out the corn flavor of the tortillas. I love this simple, quick recipe. I will be using this recipe often. Thank you! I grew up with my mom making a similar version, but she put the sour cream in with the cheese; I add cumin to the mix, and if I’m feeling celebratory, shrimp. I often make these along with Bayless’s pork enchiladas (or a version of) and black beans. Absolutely my favorite comfort meal. I’d love to try this recipe! My son has a peanut allergy and I heard somewhere that you have to be careful with Enchilada Sauce. What’s the connection? Mole sauce sometimes has peanut butter in it. I found out the hard way( I have a peanut allergy). Read labels carefully.